The short-term holiday letting industry is booming. While I believe that the likes of Airbnb and Stayz have a place in the market, the industry must be regulated because it is having a significant impact on residential neighbourhoods. The State Government is currently reviewing the way short-term holiday letting works in NSW. Here's a copy of the submission I made to the government's recent inquiry. From the outset, I and many of the constituents who I represent in the State seat of Lake Macquarie do not wish to see the STHL industry stopped. It is however very clear that there needs to be a significant review of this industry which has grown rapidly in popularity as new digital media has allowed it. It is also very clear that significant reform and regulation is needed so the industry can continue to grow in a way that is harmonious with our local neighbourhoods. I have had considerable feedback on this issue from local residents and I have also attended a number of information sessions with stakeholders in the industry. I commend the parliamentary inquiry panel which recommended that a rigorous and effective compliance system be developed within existing planning regulation. I trust that this process will continue to move quickly because there are many people throughout this State who are being negatively impacted by the booming STHL industry and what is a classic example of the law not keeping pace with the rapid expansion of tech-based industry. I wish to make a range of observations and recommendations, but firstly I wish to convey some of the stories and experiences that have been conveyed to me by some of my constituents. 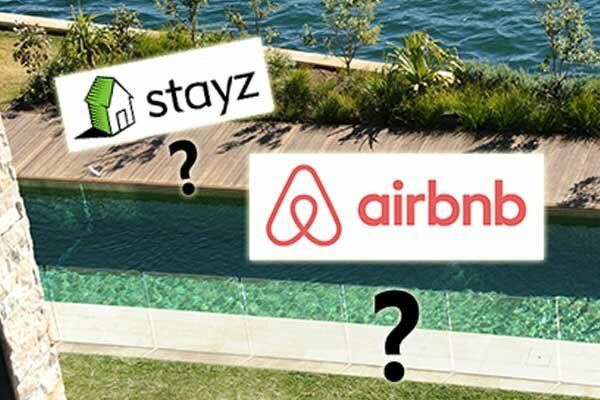 The number of residential homes in Lake Macquarie listed on the likes of Airbnb and Stayz has more than doubled over the past year. This is due mainly to the fact that many homes around the shores of Lake Macquarie are desirable locations. While I acknowledge the positive impact that these tourists bring to an area like this, their impact on what were quiet residentially-zoned streets has been enormous and in many cases had significant negative impacts on those local communities. One of my constituents owns a waterfront home at Coal Point which now has properties either side of it rented as STHL. Both properties have been let for about 200 days each over the past year. One of those properties is leased for as much as $650 a night. The five-bedroom home can accommodate 10 people, but when the tenants have friends around for the day to water ski or enjoy waterfront activities, there can be double that number. My constituent has told me that he wouldn’t mind so much if the home’s owner was on site when visitors were staying. If it operated as a traditional B&B where owners live on site, problems would likely be minimised. They report that guests at the homes aren’t always causing trouble, but trouble with drunk and noisy visitors does occur too frequently. Some residents have been abused by unruly STHL guests; streets are often parked out with visiting cars; they endure noise at all hours of the night; they at times encounter strangers in their yards who have arrived at the wrong house; and they suffer anxiety every time a new group of people descend on the house next door. These permanent residents are angry that STHL operations can be allowed in areas that are zoned residential. They are not zoned for commercial operations and they are not zoned as quasi-hotels or tourist operations. In another case, a waterfront home at Arcadia Vale in south-western Lake Macquarie was hired by a mother for her daughter’s 15th birthday party. More than 100 teenagers turned up and it escalated quickly into a very noisy event marred by dozens of intoxicated and unruly teens. Police were called and the party was shut down, with the mother telling police it was cheaper to rent the home through Stayz than it was to hire a local hall. Again, these occurrences are not rare, although it would be fair to say that they’re only a small percentage of the total number of STHL stays. I have also had discussions with a number of residents who live in an over-55s village at Carey Bay. A holiday property located next door to the village has been rented out as an STHL over the past two years. They report that the visitors range from tradespeople staying briefly in the area for work, to families, and to “schoolies” groups and wild birthday parties. The neighbours have experienced the full gamut of adverse impacts – garbage being dumped over their properties, young drunks vomiting on their lawns, foul language and behaviour, loud music all weekend, violent brawls outside their bedroom windows and general verbal abuse. Complaints to the Sydney-based owner and to the STHL company have provided no relief. The permanent residents of the village say they’re entitled to their peaceful retirement and are angry that such a commercial tourist operation could be established in the residence next door to them. It is sad to hear these people talking about having to sell their homes because of the uncontrolled, unregulated businesses springing up unexpectedly next door to them. The stress and anxiety created by these operations on neighbours cannot be ignored. Nor can the fact that many of these operations are a prohibited land use under council’s LEP. The impact that STHL is having on the number of homes available for long-term rental in the Lake Macquarie area should be of concern to regulators. More than 23 per cent of people living in Lake Macquarie live in rental accommodation. In large part, many people are struggling to afford their own home, with the median house price now above $525,000. The median rent for houses is now above $400 a week, with the number of available rental properties on the market down more than 3.5 per cent in the last year alone. Further, waiting lists for public housing in this area now stretch beyond 10 years in all but one category. At the moment, the number of long-term rental properties available for occupancy in this area is less than one per cent of the total in the market. I believe the STHL market is resulting in fewer affordable homes being made available to long-term renters, and that demand is in turn driving weekly rents higher. I note that recent data collected by the University of Sydney’s Urban Housing Lab estimated that about 6000 homes have been taken out of Sydney’s long-term housing rental market by landlords choosing to list properties on STHL sites such as Airbnb and Stayz. I have no doubt that the same thing is happening in regional areas, particularly in coastal towns. I also note that the study found about 28 per cent of Airbnb listings were for entire homes. If that figure is correct, I believe that the broader problems occur within this 28 per cent. Limit the number of lettable STHL days. A limit on the number of days that a property could be let short-term would significantly reduce the impact the business has on immediate neighbours. It must be remembered that these are residential neighbourhoods, appropriately zoned under the council’s LEP, and not quasi tourist zones. People build their homes and lives in these areas and should not be subject to a permanent tourist hotel springing up next door to them. I would argue that STHL be limited in residential areas to perhaps 90 days per year in cases where the property owners live on site, and 30 days a year where they don’t. This would minimise disruption among permanent residents and reduce the negative impacts on the long-term rental market. Such a limit would also provide a more level playing field for genuine hotels and tourist accommodation businesses which are located in appropriately-zoned locations, are licenced and regulated, yet forced to compete with unlicenced and totally unregulated competition. Airbnb has reported that their ‘hosts’ live on-site in about 72 per cent of listings. These operations would therefore operate like a traditional bed-and-breakfast operation which has little impact on neighbours or community amenity. I believe that an on-site host or owner in the remaining 28 per cent of listings would significantly reduce the negative impacts of STHL. Neighbours of STHL in residential zones should also be furnished with a phone number of the host who should be available 24/7 to manage any complaints about guests or non-compliance with the STHL rules. There should be a limit on the number of guests able to stay in a STHL home to deter guests from staging large and noisy parties. There should also be controls on the number of visitors tenants can invite to the property. These figures could be reflective of the home’s size, number of bedrooms and proximity to neighbouring properties. This should be combined with clear rules and guidelines of tenancy provided to guests by the host. The onus for responsible behaviour within STHL properties should of course lie with the tenants themselves, but the host or property owner should also carry some responsibility for how their guests behave, particularly in instances where the hosts do not live on-site. If a STHL property is the subject of, say, three complaints in a year, then the property should not be allowed to operate for a set period as penalty. This type of penalty might be part of the industry’s self-regulation. For example, complaints from neighbours concerning consistent rule or noise breaches could be made directly to the host organisation (Airbnb, Stayz etc). Three strikes in a year and the property owner is banned from any short-term leasing for, say, the following year. Breaches should not be limited to noise complaints from neighbours, but to the actions of the host or landlord. For example, the failure of a host to respond to concerns expressed or reported by neighbours could constitute a strike. In order for such a scheme to operate more efficiently, the industry itself could establish its own complaints board or regulator which could be easily accessed or contacted by neighbours of STHL properties with issues or complaints. This should be funded by a levy imposed on each host property. It is not enough that unruly guests would simply get a bad review on their Airbnb report card, or that a host who fails to provide promised levels of amenity or service would also get a poor rating by guests. Neighbours of these properties are significantly impacted by STHL operations and equally deserve an open and accessible avenue to air grievances, raise concerns, and have them resolved. The onus is not just on STHL guests to maintain a quiet and orderly residential neighbourhood, but also on the property owner. There is currently great confusion among local councils as to what sort of STHL operation is permissible in residential zones. As I noted previously, these types of STHL operations are not located predominantly in tourist zones, industrial zones or recreational zones, but in residential zones. No one would be allowed to build a hotel on a residential block of land, but that is exactly what’s happening in some cases. It would be fair to argue that traditional B&B-style operations, where the property owners live on site, existed in a somewhat grey area of local planning legislation. But the prolific growth of this industry in the digital age has brought with it much larger impacts. There must be regulations set out in local planning laws which provide parameters for STHL to operate within. Those parameters should ideally be universal, although there may be some differences between city and regional and rural areas, and perhaps in areas that are considered as tourist areas. The impact of noise in a rural area, for example, would be different to that in an urbanised residential setting, so planning guidelines should reflect that. The issues surrounding STHL within strata-managed buildings have been well documented. I believe that strata managers must have the power to make their own decisions on whether or not STHL hosts be allowed to operate in a particular building. Despite the recent judgement against strata committees and their ability to ban STHL in their buildings, I believe that any new legislative framework should include clear guidelines and power for strata committees to make their own decisions. In most cases, decisions taken by owner-cooperatives generally need 75 per cent of owners to agree on changes to building guidelines or regulations, and I believe that is also appropriate in this case. As I indicated from the outset, I do not support any suggestion that the type of STHL made available through the likes of Airbnb and Stayz be subject to an outright ban, but it is clear that this is an industry which has grown rapidly in recent years and its impact on traditional residential neighbourhoods has been significant. The industry must be appropriately regulated so it can co-exist in residential neighbourhoods. I have met with a number of operators and hosts and I accept that there are real benefits - economic and social - that this industry creates. I accept that the industry is now generating significant tourism benefits and job creation, but that should not come at the expense of once-quiet, appropriately-zoned, harmonious residential neighbourhoods. There must be sensible restrictions imposed on the location of these STHL properties, on the number of days in a year they’re allowed to operate, and a restriction on the number of guests they can accommodate. The impact that these STHL properties are having on permanent neighbours must be addressed. It is inconceivable that someone can invest enormous amounts of time and money into their own home, only to have a quasi-hotel or tourist operation spring up either side of them. There must also be clear and definitive planning guidelines which allow local councils to adequately manage these properties, and there must be a better system of regulation which allows the people most impacted by their operation a fairer go. The idea of allowing homes in quiet residential neighbourhoods to double as party houses every weekend is fundamentally flawed and wrong. It significantly undermines the general amenity of a residential neighbourhood, creates stress and anxiety for many, and is totally incompatible with what residential neighbourhoods are supposed to do. There must be a strong regulatory framework for the STHL industry to exist in, and one which serves the industry as well as the people it negatively impacts. The recommendations I have made in this submission would, I believe, go a long way toward achieving that. On behalf of the many constituents who have sought my assistance on this issue, I thank you again for the opportunity to make this submission.